How Wessex Water is Streamlining Meeting Room Usage & Microsoft Surface Video Conferencing to Reduce its Environmental Impact. Wessex Water takes its responsibility to the environment very seriously, with a stated policy that includes reducing emission levels and implementing new technology to improve working practices. 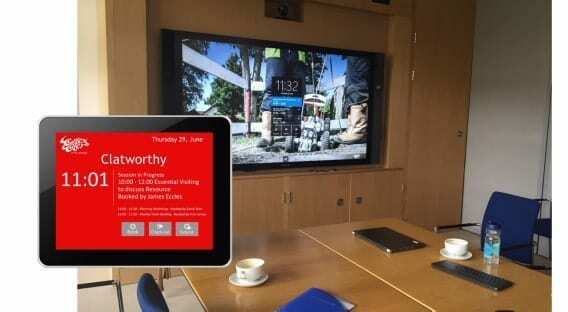 A prime example of this pledge being put into action is the company’s use of Microsoft’s Surface Hub, an impressive, large-format interactive virtual whiteboard, Microsoft Apps and video conferencing facility. Key to orchestrating ‘minimal travel’ meetings was that organisers should be able to easily locate and book multiple regional meeting rooms, at the same time as scheduling a Skype for Business video conference. Using a solution from Microsoft Partner Essential Computing, Wessex Water has been able to build advanced room and resource scheduling capability into its Office 365 calendaring system. Staff can now find free rooms that have the Surface Pro Hub facility installed and book them along with any other resources such as catering and visitor parking, all in one go. Another goal of investing in the solution was to reduce unused meeting rooms and encourage people to be more responsible in managing their bookings to avoid empty meeting rooms. By adding touch screens outside key rooms, staff at Wessex Water can now see whether a room is free or about to become free. An ID-card check-in facility means that if a meeting doesn’t go ahead for some reason and no-one shows up in person, the room can be automatically released for someone else to use. Concluded Eccles, “Since implementing our room booking system there’s definitely better utilisation of rooms. If people don’t need them they are proactively released for someone else to use. And, because you can see room capacity when you’re looking for a free room, people can now select a room that is more appropriate to their needs. Built on the outskirts of Bath on the site of a former hospital for infectious diseases, the operations centre – also the Wessex Water HQ - is hailed as one of the greenest offices in Europe. Its cutting-edge design combined with modern energy-efficient features (such as rain-water flush toilets) contributed to it winning the prestigious Building of the Year award from the Royal Institute of Chartered Surveyors in 2001. “We’re not allowed to put much on the walls, so the slick touch screens outside meeting rooms work well", commented Eccles. Room screens are platform independent and very flexible, with a choice of platform including Apple iOS, Microsoft Windows, Android and dedicated screens. They can also be customised with the addition of corporate logos, imagery, visitors and health and safety messages, colour schemes and more. An interactive floor plan display is also available for larger screens in reception and for mobile device users. See our room & desk booking solution in action! Discover how we can help you manage your meeting rooms & desk bookings in order to utilise your estates more effectively. To ensure meeting organisers confirm their arrival ‘in person’ and to check that any staff making ad-hoc bookings of free rooms are eligible, Wessex Water chose room screens with RFID card readers. Simply by swiping their company security ID card in front of the screen, staff credentials can be verified and captured into the room booking database for later analysis. In addition to checking user IDs, other room booking restrictions have been put in place. For example, the chairman’s meeting rooms can’t be booked, but others, such as the incident room, are still available to be booked by directors and executive assistants. There are caveats to this, however. Executive assistants have also been given the rights to manage bookings and check-in on the behalf of directors. This is made easy through the fact that the room and resource booking solution is designed to reflect existing Outlook calendaring permissions, with the option to add more booking privileges if required. "Training managers like the fact they can see the availability and capacity of all meeting rooms across all locations and we’ve given them the ability to check in remotely via a floor plan view." Resource booking forms can be extended to enable staff to book literally anything that might be required in conjunction with a meeting. This includes catering and service timing requests, seating arrangements, visitor passes and more. Wessex Water has introduced forms that enable staff to request additional resources that include visitor parking spaces and catering at the same time they book a meeting. Pre-configured workflow enables the relevant request to go to the responsible service provider. For example, catering requests go to catering staff at Wessex Water, and they can now run reports on all requests made for the week, as well as see a list of daily tasks. 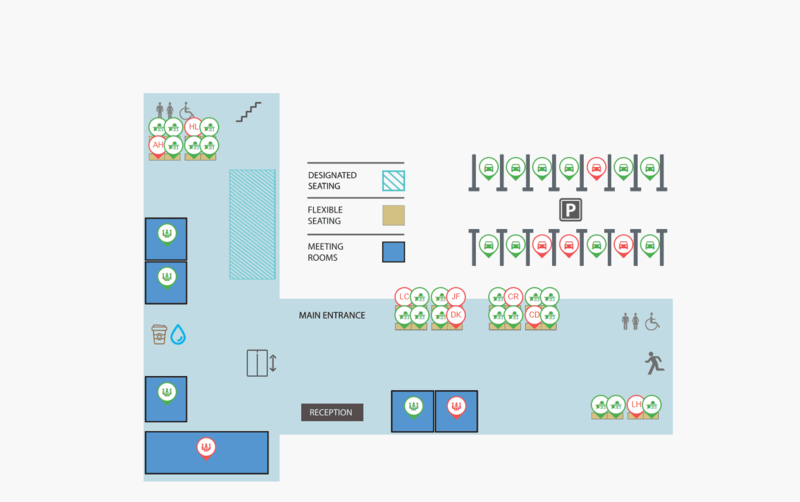 Staff can also change or add to their requests at a later date, a feature that helps reduce wasted catering if meeting delegate numbers reduce. Wessex Water encourages the use of public transport and cycling for both staff and visitors travelling to its operations centre. It even has a free bus service (with cycle racks) available from a nearby park and ride facility. Visitor car parking spaces are available, but limited. To ensure availability, these spaces must now be pre-booked by the Wessex Water meeting host at the same time as scheduling a meeting. A finite pool of parking space resources has been configured, and when they are all used up, no more bookings can be made. Reception and security staff can see a list of all reservations for the day, including a status map of the car park spaces. They can also check out parking spaces when visitors leave. Introducing new ways of working always comes with challenges, especially when the change involves sharing fewer resources across more people. Hot desk and car park space booking systems in particular can involve change in attitude and working habits that technology alone cannot address. Wessex Water has not been alone in encountering teething problems in rolling out its booking system. Concluded Eccles, “It’s taken a long time to get there. Once or twice a week I’ll get people not being able to do certain things but it’s usually down to user error and training issues. There’s now information on our intranet on how to make room bookings. Essential's advanced booking room and resource booking solution includes best of breed Resource Central software and ResourceXpress room screens. Available on-premises or hosted in Microsoft Azure for Microsoft Exchange, Office 365 and hybrid enterprises, the solution leverages investment in Microsoft infrastructure to deliver an optimal end user and support experience, along with enterprise-level scalability and performance. Key to delivering the solution is Essential's holistic implementation service which starts with a workshop that looks at the needs of all stakeholders. This includes the IT team, facilities staff, end user representatives, designers and HR to ensure the solution not only works well and looks good, but is also introduced in a way that is sensitive to the needs of staff and successfully underpins the introduction of new, smarter working initiatives.